LOS ANGELES, Calif. /California Newswire/ — Climate Resolve, the Los Angeles League of Conservation Voters, Sierra Club, and Green LA Coalition, in collaboration with an unprecedented coalition of organizations dedicated to a better Los Angeles, hosted a forum yesterday at the California Endowment for the candidates running for Los Angeles city council, city attorney and city controller in the city’s May 21 run-off election. The forum included a dedicated discussion for each race, with candidates addressing questions about the topics that matter most for the future of Los Angeles: the environment, transportation and the economy. The event was filled to capacity, with a lively Q&A session following each discussion. Additionally, candidates provided in-depth, written responses to a series of questions about specific policy issues that they will confront if elected. The complete questionnaire and candidates’ responses are available for download at (PDF): http://climateresolve.org/wp-content/uploads/2013/03/Candidate_Forum_web.pdf . Energy and Climate: UCLA’s Vision 2021 recommends that by 2021, LA should get out of coal completely, increase renewables to 40%, and energy efficiency to 15%. What do you think is the ideal electricity mix for LA by 2021? How do you think we can get there? Participants included City Attorney candidates Mike Feuer and Carmen Trutanich; City Controller candidates Ron Galperin and Dennis Zine; City Council District 1 candidates Gilbert Cedillo and Jose Gardea; City Council District 9 candidate Ana Cubas and Andrew Lachman, representing Curren Price; City Council District 13 candidates John Choi and Mitch O’Farrell; and City Council District 6 (special election) candidates. Other speakers include City Councilmember Paul Koretz and Councilmember-elect Mike Bonin; Tom Eisenhauer, President of the Los Angeles League of Conservation Voters; and Jonathan Parfrey, Executive Director of Climate Resolve. The forum was a unique opportunity to understand each candidate’s position on critical, far-reaching issues. Discussion topics included public transit, renewable energy, water resources, green jobs, green building standards, climate change preparedness, open space, waste and recycling programs, and air quality. 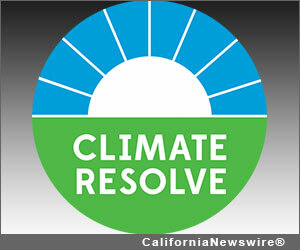 Climate Resolve is dedicated to creating solutions to meet the challenge of climate change and, in the process, making Los Angeles a more livable place.